Beautifully decorated to marry historic Dublin with modern architecture, the newly-built Clayton Hotel Charlemont offers a relaxing environment in the midst of Dublin’s vibrant city centre. 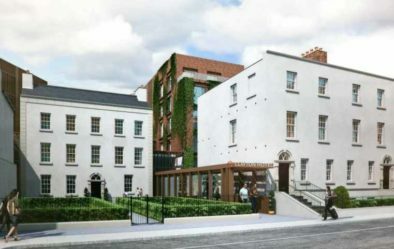 Clayton Hotel Charlemont has seen the restoration of a number of notable 18th century Georgian buildings, including the renowned St Ultan’s infant hospital. This historic structure is linked to the stunning new-build hotel set on Dublin’s iconic Grand Canal. Truly in the heartbeat of Dublin, Clayton Hotel Charlemont stands out among hotels in Dublin city. This boutique hotel includes 189 luxury guest bedrooms, including executive and superior, which offer stunning views of Dublin’s Grand Canal. Additionally, the hotel has six state-of-the-art, purpose-built meeting rooms, which include two restored feature boardrooms, located within the grand setting of the Georgian buildings. 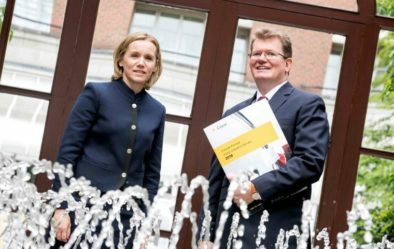 St. Ultan’s, situated in No 37 Charlemont, is named after the infant hospital, while Lynn Mullen, the executive boardroom, pays homage to Kathleen Lynn and Madeleine ffrench-Mullen, the hospital’s founders. At Clayton Hotel Charlemont, we offer a personalised service and superb attention to detail. Facilitating up to 40 delegates, our dedicated meeting rooms enjoy natural light, air conditioning and are fully equipped with the latest in audio-visual technology. Our professional meeting and events team offer learned advice and guidance, and will assist you with the planning of your event from start to finish. On the day, take comfort in knowing our professional team are on hand to assist with the final details. Our expert culinary team, headed by Anil Roy, offer flexible and innovative dining options, energising breaks and diverse menus to comfort and inspire delegates. 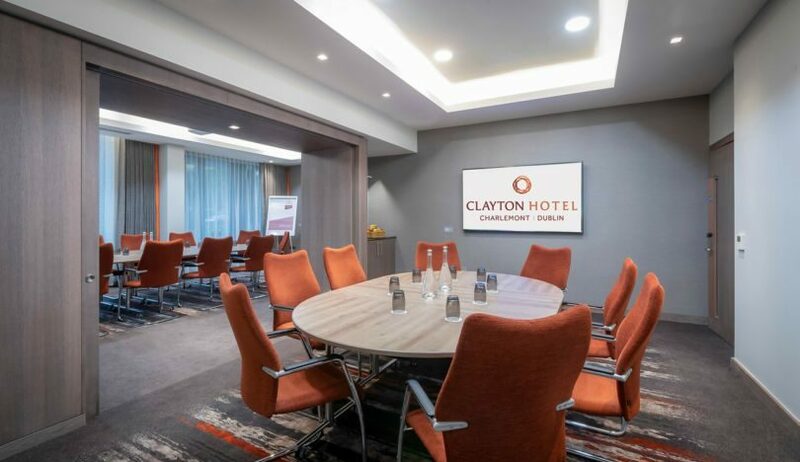 Choose from a variety of signature coffee breaks and sumptuous lunch options, and make your meeting at Clayton Hotel Charlemont a truly memorable one. Situated overlooking Dublin’s Grand Canal, Clayton Hotel Charlemont is easily accessible by public transport, by car or on foot. All you have to do is get here – we’ll take care of the rest.